“Steve Foley” was living a lie -– one that would last six long and dangerous years. It all started on Sept. 27, 1994, outside a Providence, R.I., courthouse, when he recognized a hit man for the most powerful crime family in New England. He walked up, said hello and told the killer he had remembered him from prison. But “Foley” wasn’t the profane and menacing long-haired bookie and drug dealer he professed to be. He was Steven O’Donnell, an undercover state police officer trying to get inside one of the Mafia’s most feared families. He knew the job was dangerous and that the slightest mistake was likely to get him killed. In part because of that healthy sense of apprehension, O’Donnell’s dangerous assignment to infiltrate the powerful crime family founded by Raymond Patriarca Sr. in the 1950s had a happy ending for everyone but the mobsters. His testimony was instrumental in convicting “hundreds” of criminals and putting them behind bars. 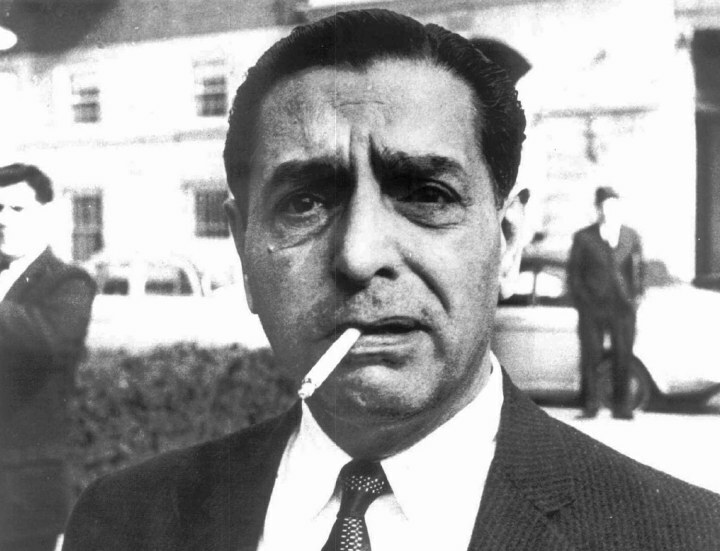 This undated photograph shows the late reputed crime boss Raymond Patriarca. It also served as an effective, if unlikely, crash course that prepared him for his current position: head of the Rhode Island State Police, the top public safety job in the state. It took a guy who grew up around the mob to take down the mob. O’Donnell is from Providence, and as a boy lived across the street from a woman who was dating “a made member of the Patriarca crime family,” a feared outfit run by “one of the most powerful dons in the history of America, never mind New England,” he says. He was fascinated by the crooks he encountered, but they also fueled a sense of moral indignation. “I was always kinda frustrated that they can do what they do with … impunity,” he said. 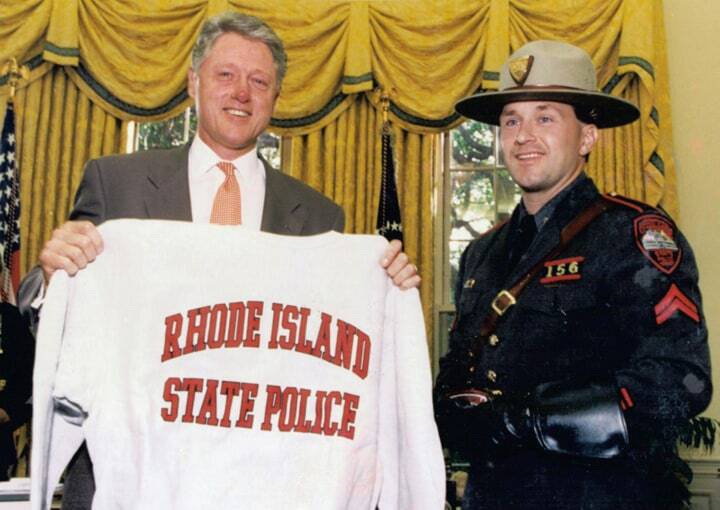 That led O’Donnell to a career in law enforcement, first as a guard at Rhode Island’s Adult Correctional Institute, starting in 1983, and later as a state police officer. Prison is a lot different inside than what people perceive on the outside. O’Donnell, who guarded the “wise guys” -- or mobsters – in the prison’s maximum security wing, says that monitoring prisoners was the equivalent of earning a graduate degree. “You can't beat the experience that you have to talk to people, you have to listen to 'em. … Prison is a lot different inside than what people perceive on the outside,” he said. 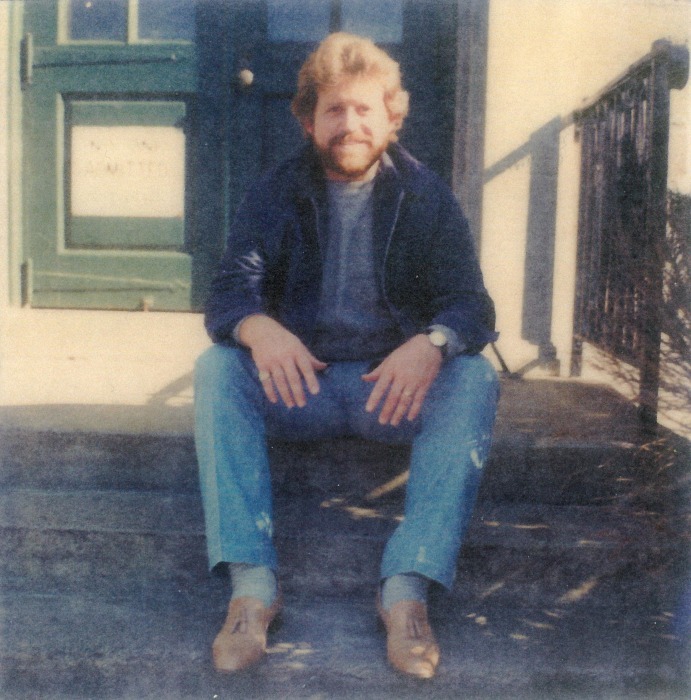 It was while working in the prison in the ‘80s that he first encountered Harold Tillinghast, a hit man doing time for murder who was in charge of fixing TV sets and grilling hot dogs for his fellow prisoners. 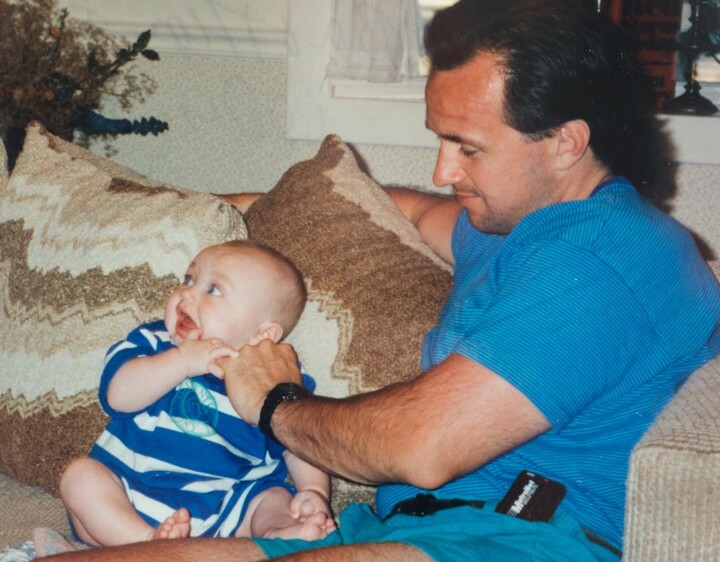 Guard and inmate had little interaction at that time, but a chance encounter with Tillinghast years later,when O’Donnell was working as a Rhode Island trooper, dramatically changed his career’s trajectory. O’Donnell was assigned at the time to the agency’s Intelligence Unit, which had made tackling organized crime its top priority. It wasn’t easy, but he persuaded officials at the regimented agency to let him grow a beard and wear his hair long so that he could more easily mingle with the crooks he was targeting. He also had an array of false documentation, including driver’s licenses and student IDs, that he carried with him, just in case an opportunity presented itself. That moment arrived on Sept. 27, 1994, when he recognized Tillinghast outside a Providence courthouse. After sizing up the situation for about five seconds, he introduced himself to Tillinghast as Steve Foley and said they had done time together in prison. Tillinghast, who was out on probation, didn’t remember O’Donnell, but the undercover cop’s story won him over. O’Donnell built a friendship with Tillinghast over the following months before playing his next card, telling the mobster that he was a bookie who needed to “lay off” some bets that had him financially exposed. He also said he was looking to pay for “protection” to the local mob to avoid stepping on any toes, but didn’t know who to talk to. Tillinghast was happy to help and introduced him to another criminal, Joseph Lema, an oddsmaker who also collected a “fee” so that other local crooks wouldn’t bother his new friend. When O’Donnell received threats anyway, Lema picked up the phone and called Gerald Tillinghast, Harold’s brother. What the two men didn’t know is that the phone call, along with many others, was being recorded. NBC News has obtained audio of one of the phone calls, the first time it has been made public. Posing as Steve Foley was nerve-wracking, O’Donnell recalls, not just because he had to avoid tipping off the mobsters. He was always worried that he would run into someone who would recognize him as a cop and inadvertently blow his cover. He also feared what might happen to his wife, Holly, and their three young sons -- Conor, Cody and Brady – if he was exposed. He says he didn’t tell his wife too much about what he was doing, but she had some idea of what he was doing and supported him. Steve O'Donnell with his family during the years he was undercover, pursuing the mob. Despite such hazards, O’Donnell continued to build a massive dossier of evidence against the crooks, until authorities finally began to reel them in, starting in 1990. By the time he cut his hair and returned to uniform in 1996, O’Donnell’s testimony had been instrumental in putting hundreds of suspected mobsters behind bars and led to the seizure of vehicles, drugs and hundreds of thousands of dollars. The busts, which gutted the Patriarca family, earned O’Donnell honors and accolades that extended to the White House, where he met former President Bill Clinton and regaled him with stories of his days playing lacrosse in college. Steven O’Donnell was honored at the White House for “Trooper of The Year” by Pres. Bill Clinton in Oct.1995. His moxie even earned the respect of some of the mob men he took down. In a rare interview from his lawyer's Rhode Island office, where he is serving probation, Gerry Tillinghast told NBC News that he bears no ill will toward his old adversary. There are few signs of O’Donnell’s long undercover assignment visible in the wood-paneled office reserved for the colonel and superintendent of the Rhode Island State Police, where he oversees more than 600 state troopers and civilian employees. The fake IDs and wiretap cassettes have long-since been filed away. His low-slung L-shaped desk is neatly stacked with paperwork. There are pictures of his kids playing lacrosse on a team he coached to a state championship. There are no photos of the colonel during his days as a long-haired, swearing, bookmaking, undercover detective in the mob. For those who know his story, there are a few mementos that hold clues to his former occupation: There are pictures of him with President Clinton. And there’s a photo of O’Donnell posing with legendary FBI undercover detective Joe Pistone, aka “Donnie Brasco,” who infiltrated the Bonanno and Colombo Mafia families in the late ‘70s and early ‘80s.